After having created a round pinata (see instructions here) now follow the instructions below to customize it into a Fiesta pinata! 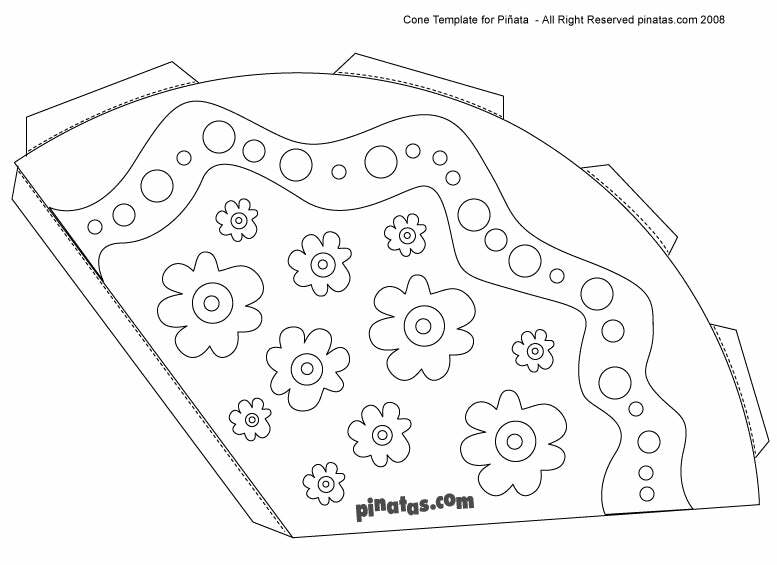 Click on the cone templates below and print each template twice. 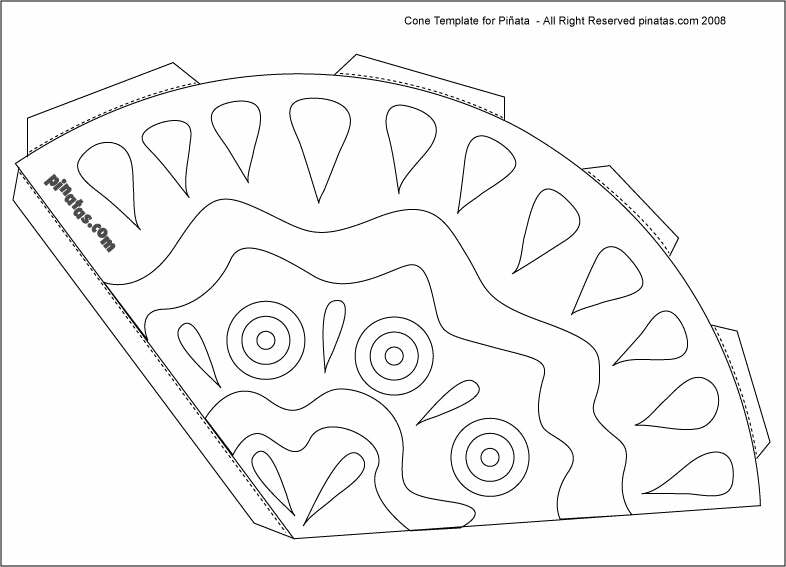 Color the cones or decorate with crepe paper and cut them out. Stick the tab on one edge of the cone to the other edge to form the cone. Stick cone to pinata along the tabs at the bottom. One cone should go at the bottom, another one at the top and the other two at opposite sides. You can stick some strips of tissue paper or curling ribbon on the tips of the cones.